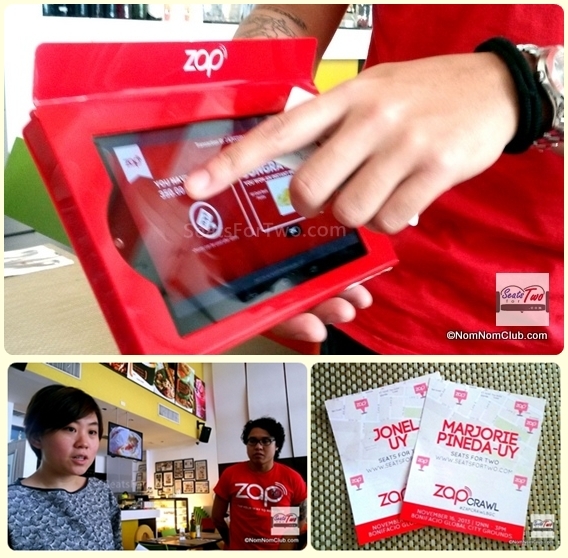 Home > Foodie > Thirsty Couple Tries New Presotea Philippines! Alright, we’ll admit it, Seats For Two is the ‘thirsty couple’ being referred to in the article title. 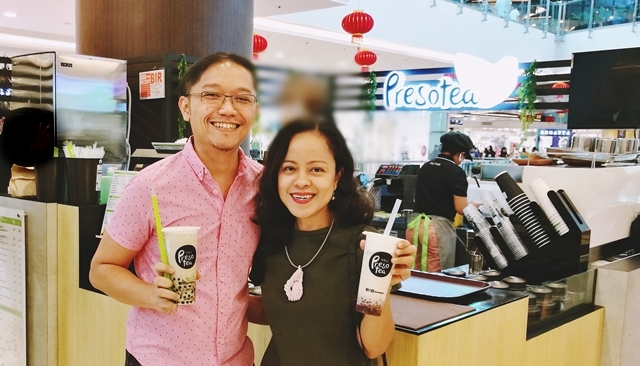 🙂 As a couple who loves milk tea, we recently rushed to Robinsons Magnolia mall when we heard about the newest milk tea brand in town the country – Presotea Philippines! 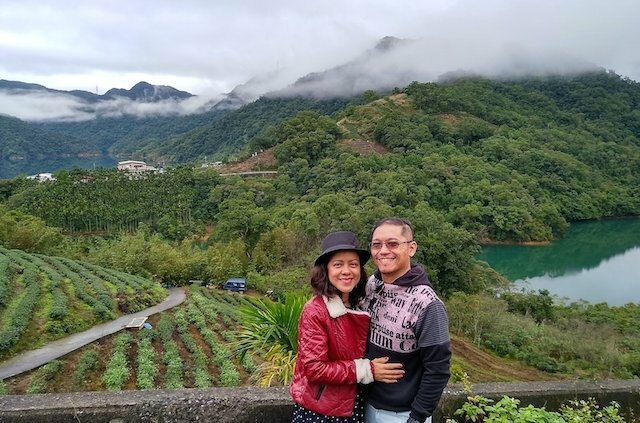 Undeniably, Taiwan‘s visa-free program did attract many Filipinos to visit the country, including us, who were there just last November. One of the highlights of our trip which we booked via the Klook app was at the Pingling Tea Plantation where we joined a group in visiting an actual tea farm and an intimate traditional tea ceremony. There, we appreciated more about Taiwan teas such as oolong, black tea, green tea, and white tea, among others, and why the country is famous for it. 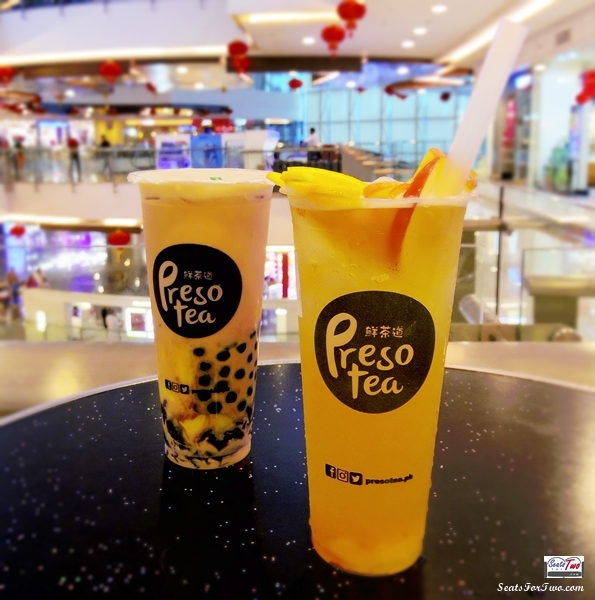 Fast forward to today, we just recently discovered a new Taiwanese Milk Tea brand which opened in Robinsons Magnolia a few weeks ago – Presotea! 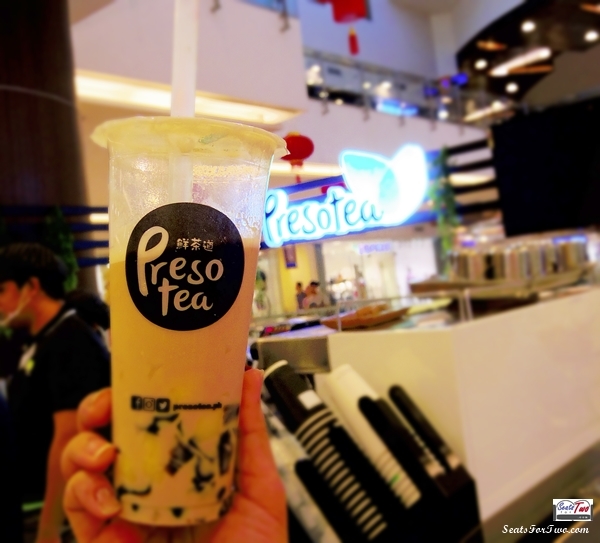 Presotea originated from Taiwan and is brought to the Philippines offering a variety of milk flavors using only premium tea leaves from the said source country. We ordered the Signature Milk Tea (with Roasted Oolong Milk Tea P110 for medium/P120 for large) with pearls and 100% sugar level. It was good and the sweetness is just fine, pearls are chewy. We can also taste the freshly brewed oolong tea as well. Our 2nd cup is the Japanese Milk Tea Macchiato with Red Bean (P150) made with freshly brewed Japanese tea and espresso and red bean. Fresh Tea Bags: Presotea Philippines uses 1 tea bag per order. When we met Jackson Tze Siang of PresoTea Taiwan at the branch, he introduced us to different fresh tea leaves they use to make the milk teas. We tried 9 variants namely – Ali Shan, earl grey, peach, Genmaicha, Matcha, roasted oolong, camellia green tea, Jasmine tea and Ceylon. Moreover, customers can choose from sugar levels ranging from 0%, 30%, 70%, or 100%. 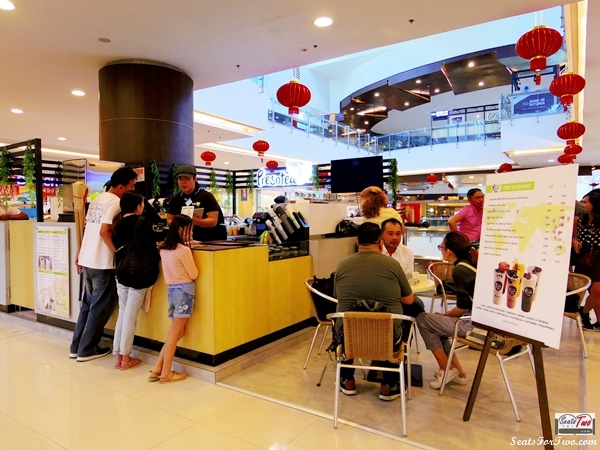 Compared to other milk tea shops who brews tea by batches., it is a concept that’s rare to find from among most milk tea stores in the Philippines. Furthermore, Presotea also offers stevia, a healthy natural sweetener from stevia plant, as one of their add-ons to their beverages. Presotea Philippine Milk Teas are available in medium and large sizes starting at Php 80 for a fresh teas to Php 150 such as our highly-recommended Japanese Milk Tea Macchiato with Red Bean. If you prefer something lighter and refreshing, Presotea Philippines offers a variety of fruit teas! Jonel Uy & Marjorie Uy of Seat For Two with their Presotea Milk Teas! 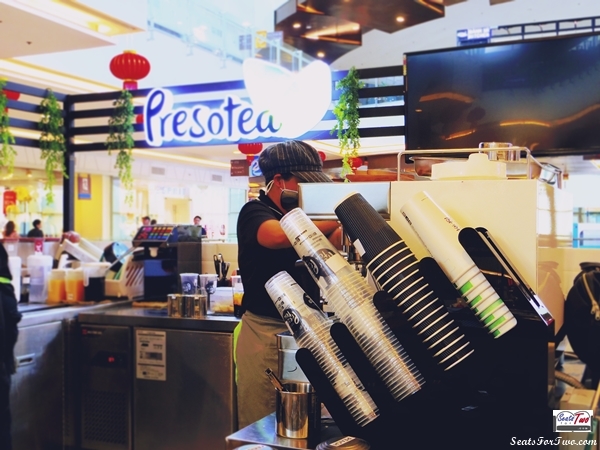 Currently, Presotea Philippines has two branches located at SM Cherry Shaw and Robinsons Magnolia. We heard that they will be opening more branches this year at SM North EDSA and SM Cubao. You may visit their fan page, https://www.facebook.com/presotea.ph/. 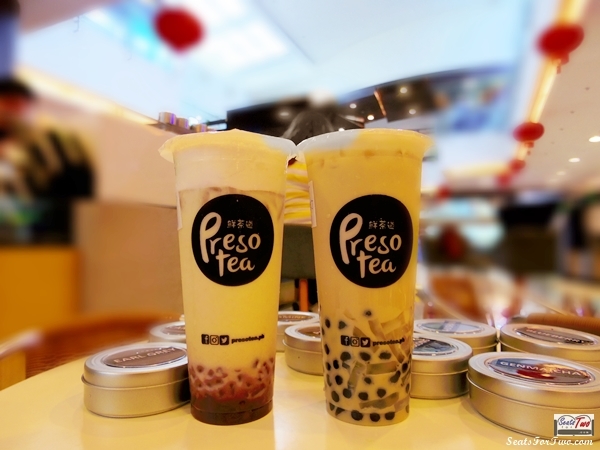 More and more milk tea shops are opening in the Philippines, so far Presotea is the only milk tea shop that has the brew-to-order concept that we know of. Having said that, you know that the brand serves freshly brewed milk tea! 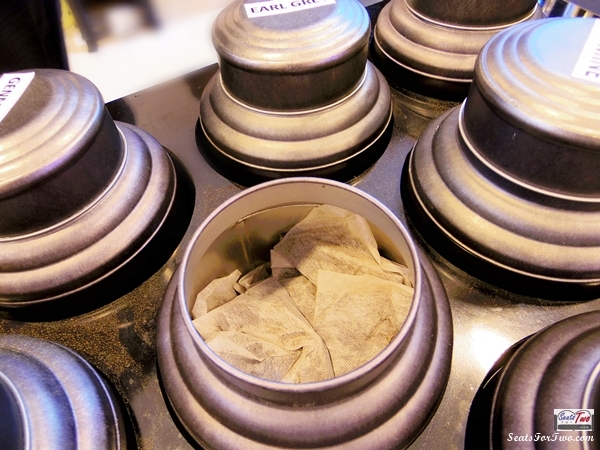 Let us know what you think once you’ve tried a cup for yourselves!